Mechanical failures can wreak havoc on your fleet, even if you never skip a single scheduled maintenance. GreenRoad detects subtle indicators of emerging problems, so you can address faults well before your “check engine” light goes on. The vehicles in your fleet are essential tools of your trade. GreenRoad’s real-time health monitoring capability connects with vehicle engines to continuously monitor their critical systems and uncover mechanical failures at their first sign. 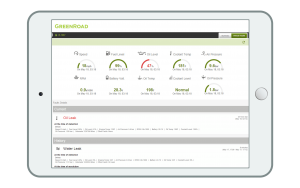 Monitor the current overall health and historical health trends of your fleet, as well as the health of individual vehicles and operating units, from GreenRoad Central. Highlight vehicles with active faults on integrated live fleet maps, and direct them to nearby service centers. Create on-demand or scheduled reports so you can follow up on problems that need attention. Act on chronic or recurring issues that could indicate faulty maintenance or problematic driver behaviour. GreenRoad’s monitoring system is proactive in letting you know about vehicle health faults so you can communicate with the driver and get the vehicle serviced before problems worsen. Tailor vehicle health alerts to the unique needs of your fleet. Set performance cut-offs and policies to specify when performance slippage becomes noteworthy. Configure real-time alerts to get instant notifications of mission-critical mechanical faults that can lead to safety concerns or costly breakdowns. 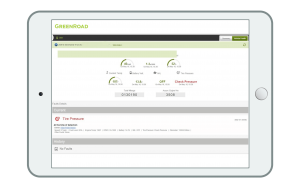 Choose channels for each alert and recipient, including SMS, email, and GreenRoad Central dashboard notifications.